Sunset at Mallory Square is one of the big celebration events on Key West. Every night tourists and performance artists gather at the square to watch Selene chase Helios from the sky. Every night, that is, except Monday. 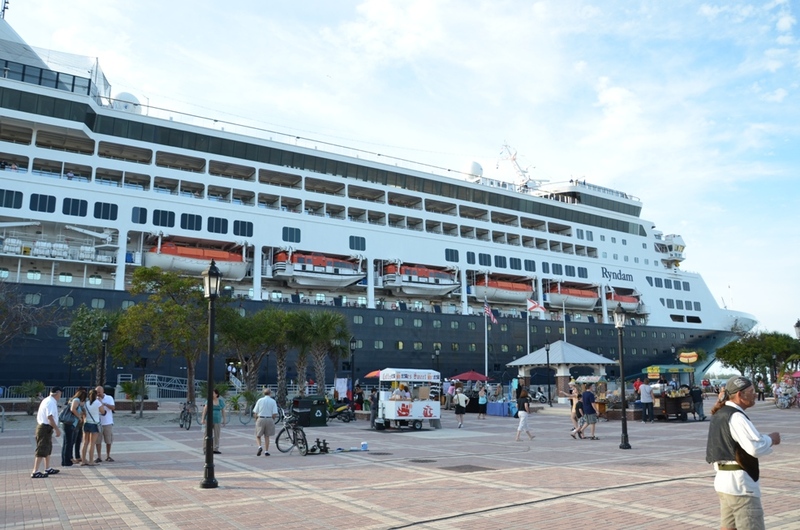 On Mondays, Mallory square becomes a parking lot for cruise ships so large they blot out the sun, and the celebration. 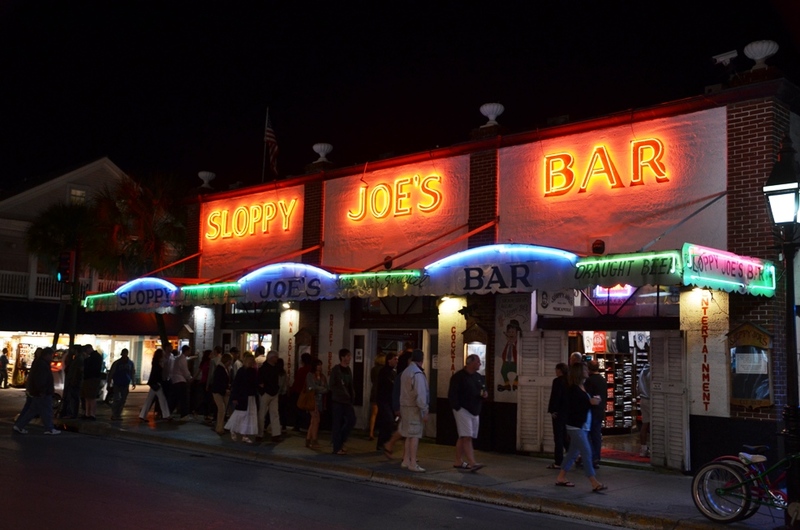 Key West Travel Tip: Skip Mallory Square on Mondays and head straight to Sloppy Joes instead. I think I’ll buy an RV and FOLLOW you! It’s going to be a “chilly” 66 degrees here today, down from the low 80’s of the past week, and mostly sunny. After the winter you’ve had, that should be reason enough. I love Sloppy Joe’s! The Sloppy Joe’s are fantastic. Enjoy it. I was lucky enough to attend the Hemingway look a like contest one fine evening in July! Love to go back some day!